Other Names: None Location: Prince Edward County and Cumberland County Campaign: Appomattox Campaign (March-April 1865) Date(s): April 6-7, 1865 Principal Commanders: April 6: Col. The Battle of High Bridge was fought on April 6 and April 7, 1865, near the end of the Appomattox Campaign of the American Civil War. On April 6, the Confederate cavalry fought stubbornly to secure the Appomattox River bridges. On April 7, elements of the Union II Corps came up against Lt. Gen. James Longstreet's rear guard attempting to fire the High Bridge and wagon bridge. Union forces were able to save the wagon bridge over which the II Corps crossed in pursuit of Gen. Robert E. Lee's army. Failure to destroy this bridge enabled Union forces to catch up with the Confederates at Farmville. 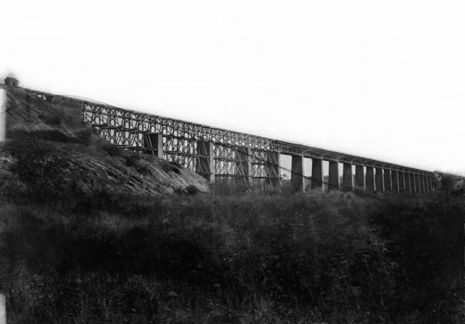 High Bridge, 2,500 feet long and 126 feet high, was the crossing of the South Side Railroad over the Appomattox River and its flood plain, four miles northeast of Farmville. A wooden bridge for wagons was located below the railroad bridge. During the retreat of Confederate Gen. Robert E. Lee's Army of Northern Virginia, they had moved north of the river, except for a rear guard provided by Longstreet's corps at Rice's Station on the southern bank. The bridges had to be protected and then destroyed to delay the pursuit of the Union Army under Lt. Gen. Ulysses S. Grant. On April 6, Longstreet dispatched 1,200 Confederate cavalry under Maj. Gens. W.H.F. "Rooney" Lee and Thomas L. Rosser to protect the bridges from Union raiders. Union Maj. Gen. Edward Ord, commanding the Army of the James, sent about 900 men under Bvt. Brig. Gen. Theodore Read (Ord's chief of staff) to take the bridge. The force consisted of the 123rd Ohio Infantry and the 54th Pennsylvania Infantry, commanded by Lt. Col. Horace Kellogg of the 123rd, and three companies (80 troopers) of the 4th Massachusetts Cavalry under Col. Francis Washburn. The cavalry reached the bridge before the main Confederate force, chased away some home guards, and secured the south end of the bridge. While Washburn prepared to set fire to the bridge, three brigades of Confederate cavalrymen arrived and conducted a dismounted attack against the Union infantry, which was waiting near the Watson farmhouse, about half mile to the south. Hearing sounds of battle, Washburn and his men rejoined the infantry, and unaware that he was facing two divisions of cavalry, Read ordered a mounted charge by the 4th Massachusetts. The ferocious charge forced through the Confederate line of Brig. 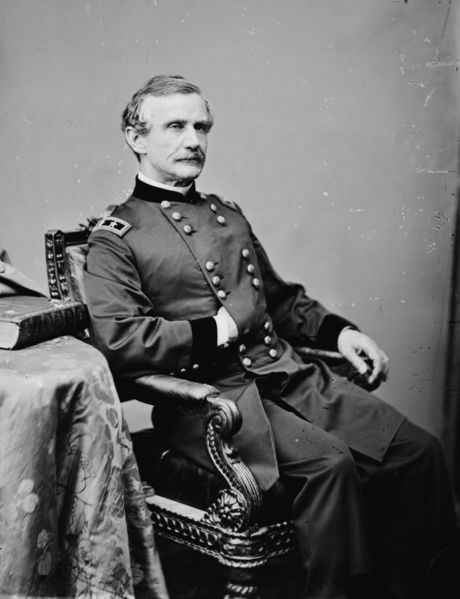 Gen. Thomas T. Munford and the dissolved into hand-to-hand combat. Read exchanged gunfire with Confederate James Dearing during the fighting and was killed. Dearing was mortally wounded and died on April 23. 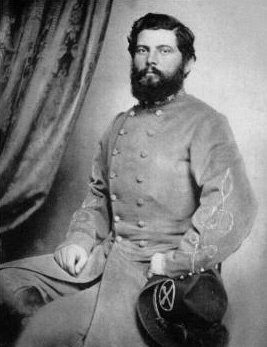 (Dearing is often cited as the last Confederate general to die in the war, but his appointment to brigadier general in April 1864 was never confirmed.) Washburn was also mortally wounded. The Confederates counterattacked and separated the cavalry from their supporting infantry. After another attack, the Union troopers were surrounded, and almost all were killed, wounded, or captured. Col. Rubin Boston of the 6th Virginia Cavalry was killed in the attack. The Confederate Second Corps, under Maj. Gen. John B. Gordon, escaped from their defeat at the Battle of Sayler's Creek and crossed the High Bridge to the north side of the river while Maj. Gen. William Mahone's division secured the bridge. The rest of Lee's army moved on to Farmville and a rendezvous with trains of rations. Early on April 7, while Mahone's men were attempting to fire the High Bridge and wagon bridge, the Union II Corps under Maj. Gen. Andrew A. Humphreys arrived on the scene. The division of Brig. Gen. Francis C. Barlow charged the burning structure and saved a large section of the railroad bridge, preventing major damage. They crossed the lower wagon bridge to move on Lee's flank and forced the hungry Confederates to resume their retreat before re-provisioning themselves. Together, the battles at High Bridge were tactically inconclusive, despite the 847 Union casualties (including 800 captured) versus only about 100 Confederate, but Lee was forced to continue his march to the west under pressure, depriving his men the opportunity to eat the Farmville rations they had waited so long to receive. Their next stop would be Appomattox Station, 25 miles west, where a ration train was waiting. 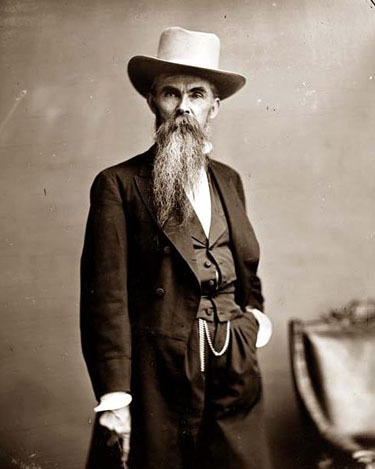 On the night of April 7, Lee received from Grant a letter proposing that the Army of Northern Virginia should surrender. Lee demurred, retaining one last hope that his army could get to Appomattox Station before he was trapped. He returned a noncommittal letter asking about the surrender terms "Unconditional Surrender" Grant might propose.